 #1 - Voted Best High School for STEM in the Waco Area. #23 - Best Private High School in Texas. #24 - Best College Prep Private High School in Texas. #1 - Most Diverse Private High School in the Waco Area. How do I get more information about Vanguard? • You can call Vanguard admissions office at (254) 772-8111, and we are happy to tell you about our school and answer your questions. • We encourage a tour of our school and a shadow day on campus. Contact the Admissions Office to set up an appointment -772-8111. • You can also fill out an inquiry form or application to talk with our Admissions Team. What are the steps to be admitted and how is tuition set? • Submit a Transcript, Writing Sample and Teacher recommendation via the online admissions. • Take the Otis Lennon School Abilities standardized test. This will be coordinated with the Director of Advancement and can be scheduled during school or after school on weekdays. • Make an appointment for an official admissions interview. This may take place with either the Director of Advancement, the Head of School or both. The applicant and at least one parent should attend the interview. • Vanguard offers Tuition Assistance and Tuition is based on each families individual income. Shadow Day. Experience a day in the life of a Vanguard student by scheduling a shadow day for your student. • We have 209 students in grades 7-12 of our 2018-19 school year. • We have an impressive 13:1 student to teacher ratio. • Our average class is 12 students per class. Some are larger and smaller in order to enhance the classroom atmosphere. Where are most of your students from? • We have students from 23 different zip codes across Central Texas attending Vanguard, along with International students from Brazil, South Korea, Vietnam, Singapore, Thailand and China. • Students come to Vanguard from local Public Schools and many local private schools.  • The NEW enrolled students in 2018-19 came from Waco ISD, Midway ISD, Crawford ISD, Robinson ISD, China Spring ISD, Gatesville ISD, Bosqueville ISD, Copperas Cove ISD, Live Oak, ECA, Waco Montessori, St. Paul, Rapoport, Valor, and Woodway Christian. • Yes! Spanish, Latin, Student Council, Class Government, Mountainview Mentors, FCA, Chess, Entrepreneurs, Outdoor Club, Mock Trial, Debate, National Honor Society, Mu Alpha Theta, Chemistry, Glee, Environmental Club, Viking Line and Drum Line. What is your average SAT Score and ACT Score? • 2018 graduates Average Score on the SAT score was 1390 (1600 scale). • Vanguard is very proud of our College Preparation Class. Students are being prepared each day for college and beyond. Over the past 5 years, our students have maintained an average of a 26.94 on the ACT. This is way above the Texas average of 20.82 and the National average of 20.76. • Over the last 5 years, we have had 96.8% of our students meet the English benchmark for college readiness which is determined by ACT. Where have recent Vanguard Graduates attended college?